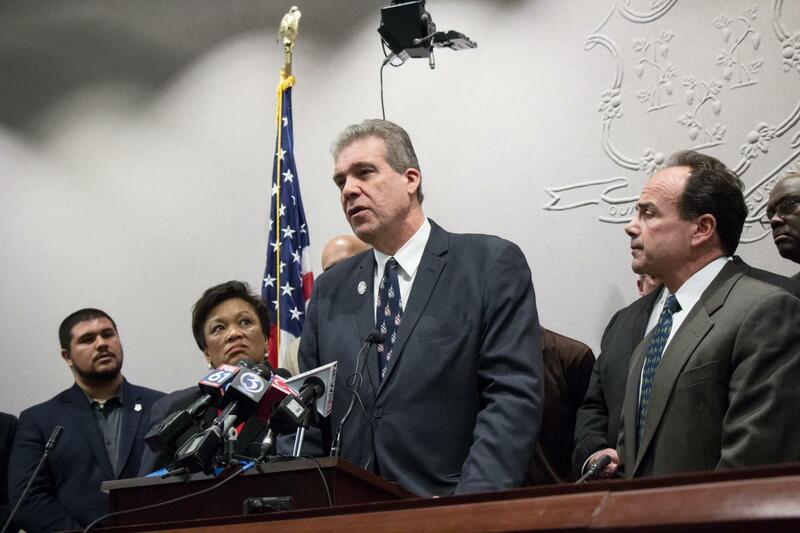 Rep. Edwin Vargas recently spoke at a news conference in support of continued state aid for the city of Hartford. He joined with other legislators and big-city mayors who gathered at the Legislative Office Building to ensure that their state aid be continued because that aid was crucial to local city budgets and programs. Rep. Vargas vowed to work with fellow lawmakers and mayors to help retain city and town aid.